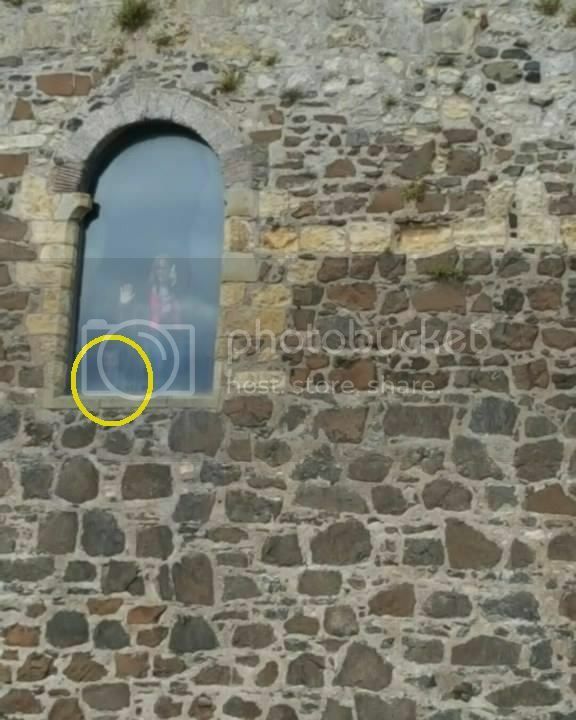 Is This The Face Of A Ghost Boy At Carrickfergus Castle? I found this on the Paranormal News website. They said it looked like a boy, but to me it looks more like a cat. This one has us spooked. Returning to Northern Ireland for the first time in 46 years from Australia, Heather Weston wanted a few touristy snaps at Carrickfergus Castle - but she got a lot more than she bargained for. 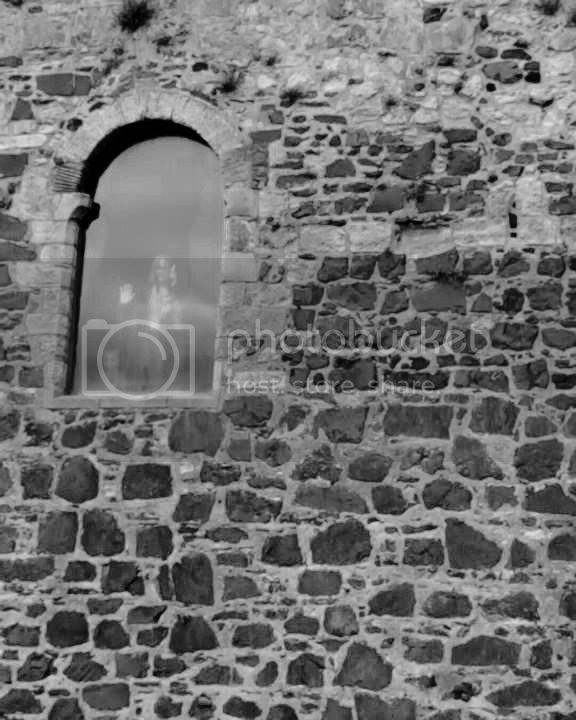 The 49-year-old was snapped by her mum, Laurena, in a room in the castle built in 1177 and to her right appears to be an image of a small boy. Heather told Belfast Live: "My mum took the picture and right before she took it my sister Sandra took a selfie without me in the window and there is nothing there. "We never spotted a ghost until we looked at the pictures later that evening. I didn't feel anything at the time, just a bit cold. "I also had another experience in the castle as well - I took a picture inside a cell and my flash on camera was down but it went off and I got an electric shock. "It scared the absolute life out of me." Original photo with anomaly circled. I converted it to black & white. If it's open to the public then there is no way to be certain there wasn't anyone else there. Or it could just be a reflection that resembles a face. I wonder what's across from the window. As Lorac kindly wrote... there's really no way to tell for sure. But then again, there's no way to completely rule out a paranormal presence either. For some reason what i typed didn't show up... lol. I fixed it above. Yes, could most likely be smudges or a variety of other things to help explain away the ghost connection. But all I want to say is, we shouldn't make a habit of only considering the explainable. I wonder how often we're wrong when following that pattern. What I see is either a dog or cat (ghost or flesh) but flesh is not logical considering the fact that this is a Castle for touring. I'm sure there's no pets allowed. And since the figure seems to blend in with the glare/smudges so nicely, it's most likely that. So I would have to agree with Vlawde on this one. But not completely ruling out a ghost. it does look like a little boy with a bit of a crew cut looking out the window - but it wasn't immediately obvious to me! Is this a phenomenon that would be expected in the castle? No. The only ghost said to haunt the castle is 'Buttoncap'. 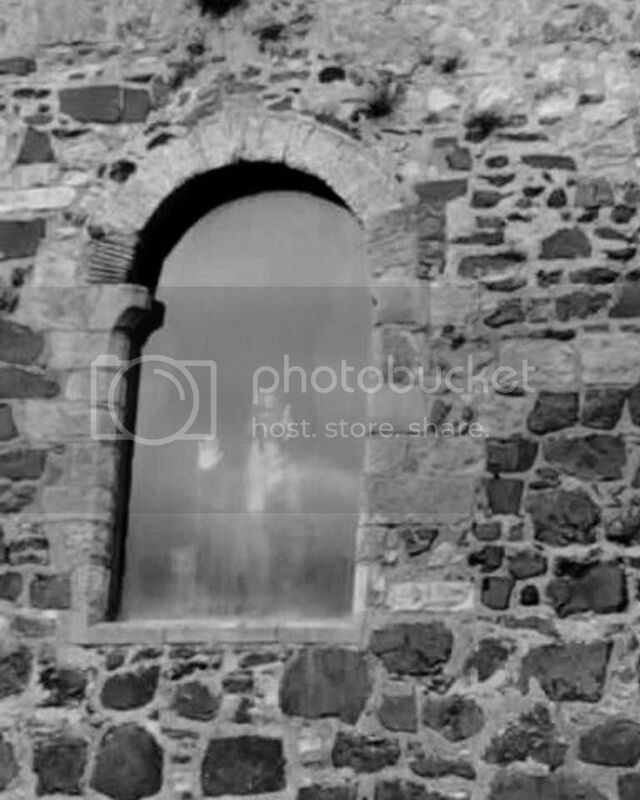 One of the ghosts which is said to haunt the Carrickfergus Castle today is that of a young soldier known as ‘Buttoncap’. There are a few different tales how this poor soul met is violent end. The most common being a tale of mistaken identity and murder. Robert Rainey was a soldier stationed at Carrickfergus Castle in the 1760’s. He was said to have a reputation of being a bit of a bad boy, but this all changed when he met and fell in love with a local girl named Betsy Baird. If Betsy would agree to marry him, Rainey promised to change his ways. He was overjoyed when she consented. Unbeknown to Rainey, Betsy was also involved with the brother of his commanding officer, Colonel Jennings. Rainey is said to have discovered his fiancés infidelity somehow, throwing him into an uncontrollable jealous rage. When Rainey came across his love rival in the road outside he ran him through with his sword before calmly sheathing his weapon and returning to his quarters. It just so happened that there was another soldier stationed at the castle who bore an uncanny resemblance to Rainey, his name was Timothy Lavery. Before Jennings died he was able to tell his brother what had happened, although he insisted that Lavery (not Rainey) had been the perpetrator. The unfortunate Lavery was charged with murder and, despite his protestations of innocence, was found guilty and sentenced to death. As the noose was placed around Lavery’s neck he addressed his executioners and vowed to haunt the castle forever more. Rainey apparently confessed to his crimes many years later, but this did nothing to please the spectre of Timothy Lavery who’s ghost continues to hover around the old well in the Castle grounds, which some call “Buttoncaps Well” in his honour. Wow, how did I miss this MacC? The whole image is scary! I wonder if others have got photos that are similar ?